There's really nothing more precious than mini versions of human furniture. Just add your favorite furry friend and you're guaranteed to experience cuteness overload. 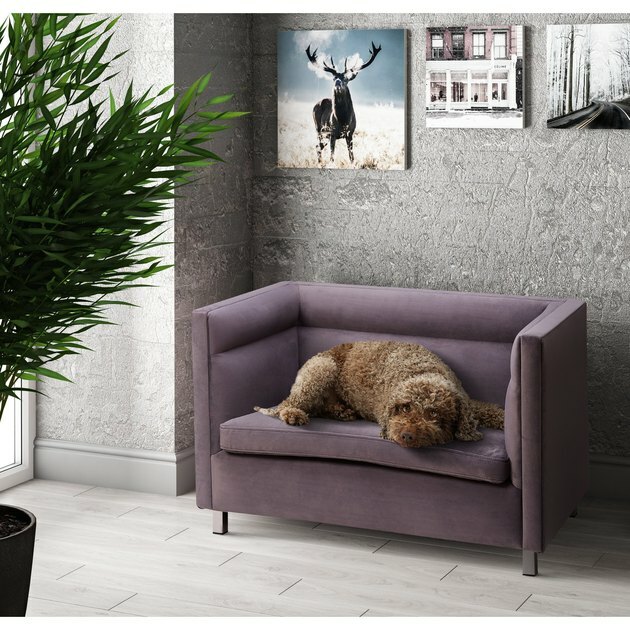 So what we're saying is, we bet you'll love the following eight mini human furniture pieces meant for pets even more than your furballs do. 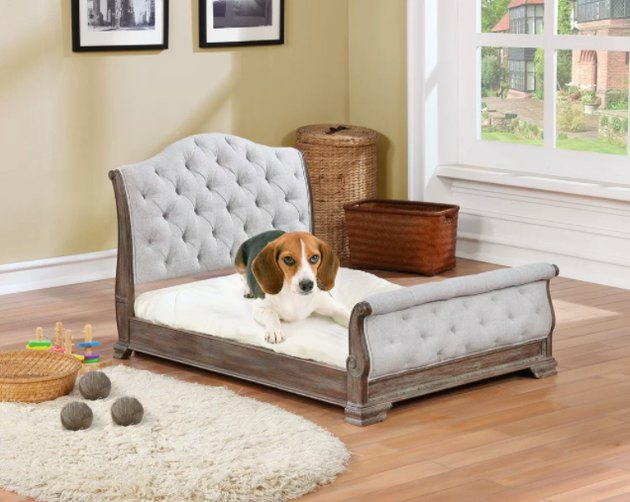 This dog bed may well be fancier than your own. It has an antique gray wood finish and tufted upholstery — for real. 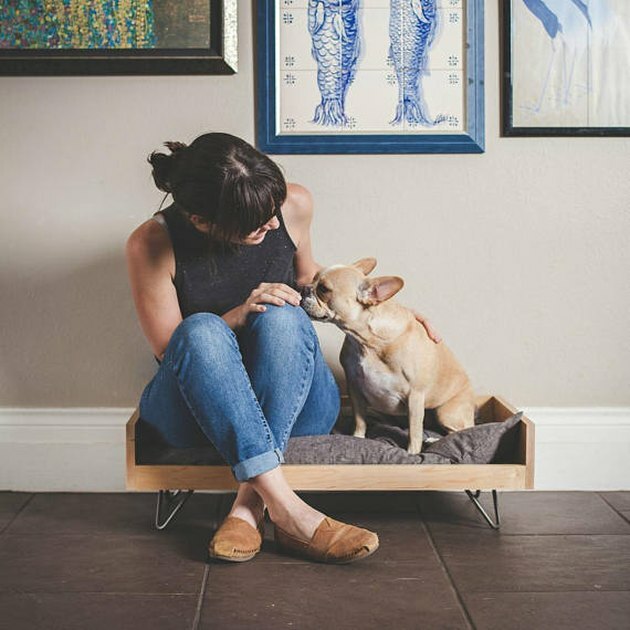 Calling all Ikea fanatics: Your very own dog or cat could own this mini Vimle loveseat from Etsy. 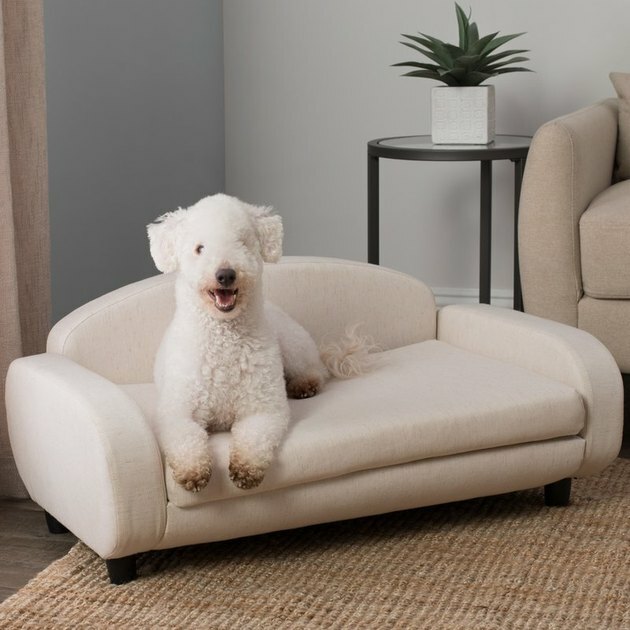 This simple, modern pet sofa won't detract from your carefully curated home. 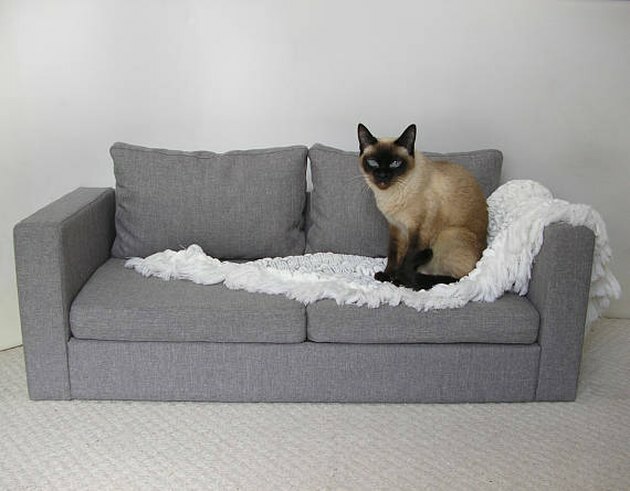 This velvet sofa offers only the best for your cat or dog. Here's a pet bed that will fit right into your midcentury home. It's made of domestic hardwood and is topped with a human pillow for maximum comfort. There's also an option to have a name or word engraved into the wood for an additional $30. For each pet bed purchased, a bed, mosquito net, or Bible is donated to a child in Africa through the non-profit Sweet Sleep. 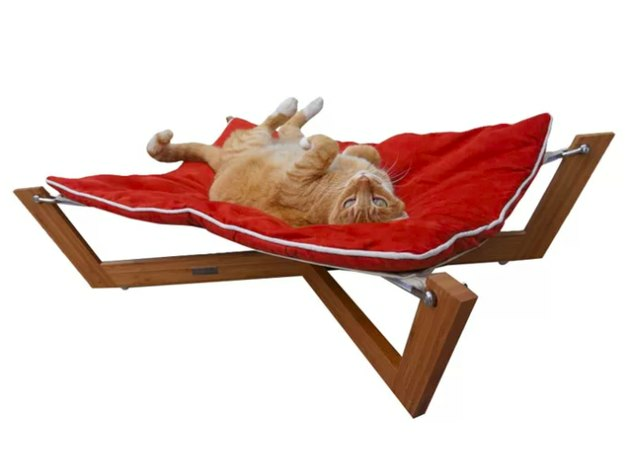 Your dog or cat can hang loose on this hilarious hammock. 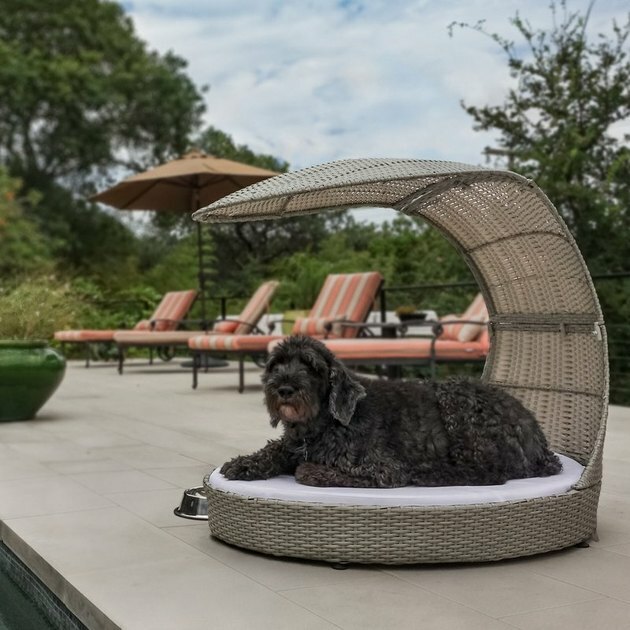 It's made of eco-friendly solid bamboo and its surface is said to respond to your pet's body weight to relieve pressure points that create discomfort. Perfect for a cat nap. This outdoor chaise lounge is for extra spoiled pups only. You can chill by the pool alongside Fido like nobody's business. 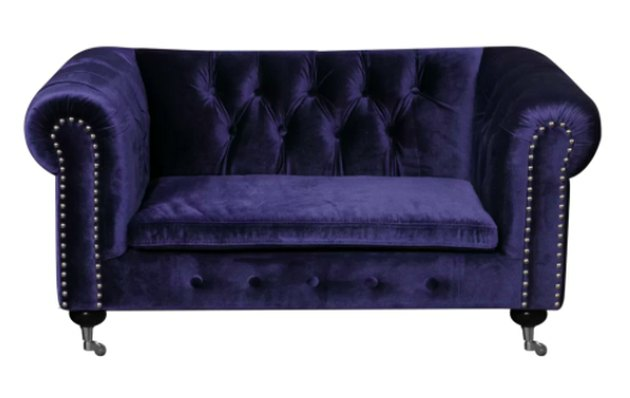 Made of velvet and solid wood, your pooch will be like a king on his throne on this dog sofa.